This inspired collection offers a new paradigm for moving the world beyond violence as the first, and often only, response to violence. Through essays and poetry, prayers and meditations, Transforming Terror powerfully demonstrates that terrorist violence—defined here as any attack on unarmed civilians—can never be stopped by a return to the thinking that created it. A diverse array of contributors—writers, healers, spiritual and political leaders, scientists, and activists, including Desmond Tutu, Huston Smith, Riane Eisler, Daniel Ellsberg, Amos Oz, Fatema Mernissi, Fritjof Capra, George Lakoff, Mahmoud Darwish, Terry Tempest Williams, and Jack Kornfield—considers how we might transform the conditions that produce terrorist acts and bring true healing to the victims of these acts. Broadly encompassing both the Islamic and Western worlds, the book explores the nature of consciousness and offers a blueprint for change that makes peace possible. 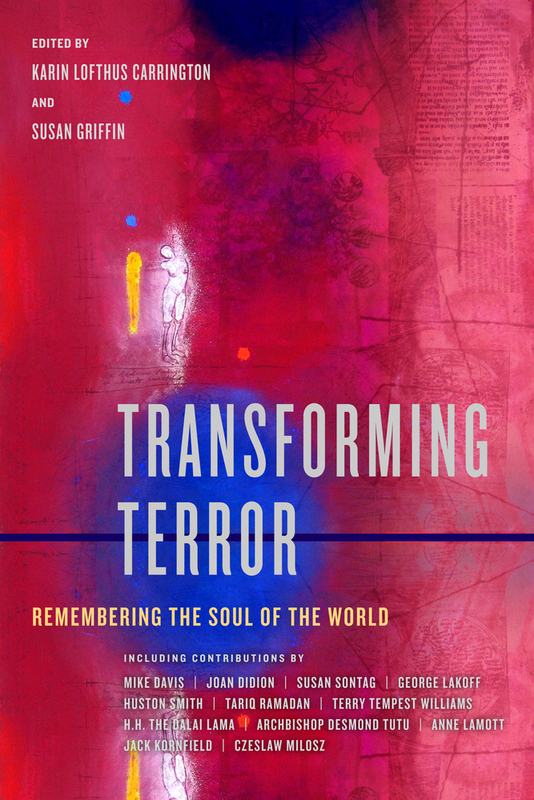 From unforgettable firsthand accounts of terrorism, the book draws us into awareness of our ecological and economic interdependence, the need for connectedness, and the innate human capacity for compassion. Karin Lofthus Carrington is a psychotherapist, consultant, writer, and teacher whose work focuses on the interrelationship of psychology, spirituality, and social conscience. She developed curriculum for the graduate program in Transpersonal Psychology at John F. Kennedy University, served as adjunct faculty for the Masters program in depth psychology at Pacifica Graduate University, and was the psychological consultant to the American Women's Annapurna Expedition. Susan Griffin, whose best selling book A Chorus of Stones was a finalist for the Pulitzer Prize, was named by the Utne Reader as one of the new millennium’s 100 most important visionaries. She has received grants from the Guggenheim Foundation and the National Endowment for the Arts, and a MacArthur Foundation grant for Peace and International Cooperation.